Hi, I have been keeping silent and not writing a blog for a long time. I was on a long trip to my parents last week. And also another thing which makes me busy is affiliate marketing. Since August first week, I put Agoda affiliate link to one of my travel blog but then I forgot to check it till last week. But when I checked Agoda report last week, I saw the following results. 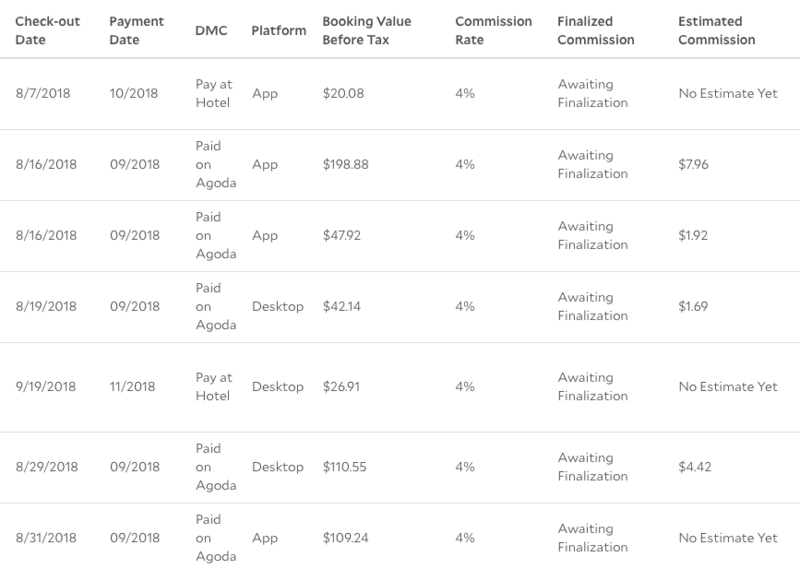 I got 7 Agoda bookings through my blog. And total earning is more than 20 USD. But not finalize. And I am not only earning from Agoda. I am also earning from CJ affiliate for one sightseeing tour sale. I just put CJ affiliate link to my blog for two days and removed. But within two days, I could generate one successful sale. Actually my blog is three months old blog with 200 daily traffic (150 organic+50 social traffic). Even with this few traffic, I could generate successful lead to affiliate. So It think it is a good starter. And it earns more than Ads network. The following is the traffic to my website within the same period with Affiliate income. 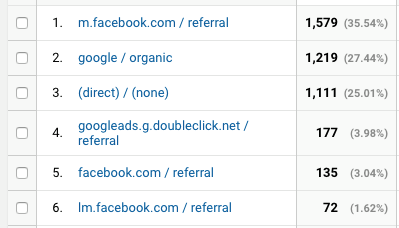 If i place Ads Network (lets say AdSense) on this blog, with this traffic, I will not get around 20 USD. But with affiliate marketing, I could get it. But it also needs a lot of hard work behind. I spent nearly 2 hours every day on my blog, writing blog articles (now my blog has over 40 articles within three months). I tried to improve on page SEO, tried to get backlink from relevant sites and blogs. Answer questions at social forum like quora. Now my website is ranked at google 1st position for two keywords and 2nd position for two keywords. I even beat TripAdvisor and Agoda and other famous websites in those keywords to take 1st position. As my blog is gaining more and more traffic everyday, I hope that my earning from affiliate will be increased by time. It will be good for longer time, I think. You also need to find the niche topics for affiliate website. If your niche is not a money niche, it will be difficult to transform traffic into money. Actually I am running over 5 blogs (all are around 2-3 months old), but some blogs, I just create them because of high keyword search volume. It cannot change the traffic into money. So choosing the right niche is important. If not, you will just waste your time, energy and even money on your blog. I am not sure you are interesting about SEO and affiliate marketing. If you do and you want to know how I am practicing SEO and affiliate idea, leave comment below. I will write in more detail about my work. nice post. I am a student who want to study affilate marketing. I am from myanmar. I will be happy if u can write completely about Affilate Marketing by Burmese language. Thanks.